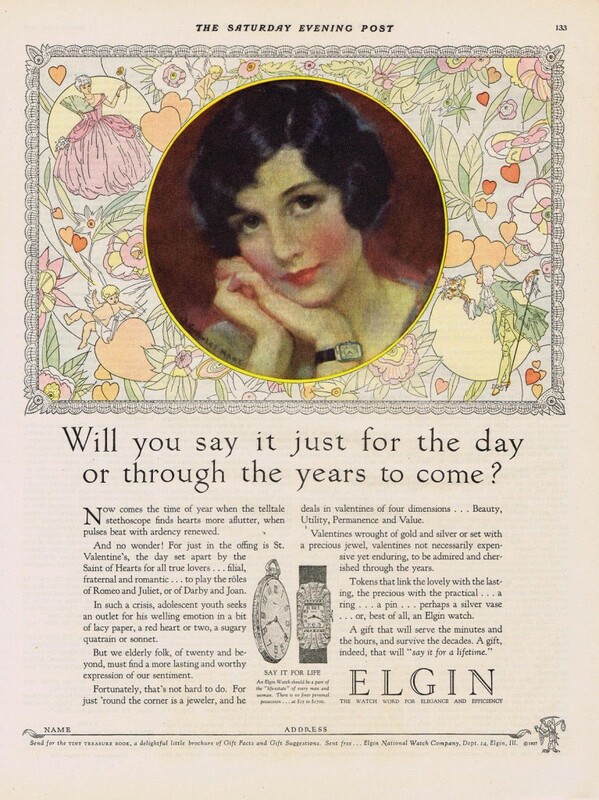 Love the wording on this Deco era Valentine’s Day ad for Elgin Watch Company, circa 1927. 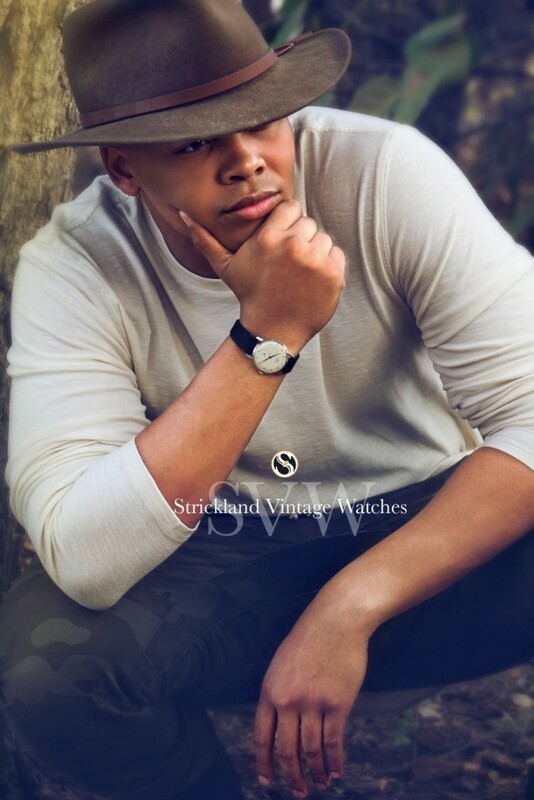 The man in the sable fedora surveying his world is our latest SVW model, Christian Flores. He’s wearing a ’50s era Waltham wristwatch, confirmation of his good taste. Image by none other than Mr. Rossie Newson.